Pati, tell us about your dream – why are you putting so much time and energy into conservation and the sustainable development of Sierra Gorda in Mexico? Because I am a seeker of new ways; being a voice for a cause I could give all my heart to. I found the Earth, its raw beauty in nature, the wisdom and great love that I can feel in its creation has become my inexhaustible engine. I have always worked in a state of emergency. For 31 years we have worked on solutions to climate change, organizing local communities, generating values ​​and skills based on a healthy relationship with nature. I am truly ashamed of what we as a stubborn society have now become. We are superficial, we have gotten lost in foolish things and it only seems to get worse day by day. When pursuing my goals, I always try to look for a clean, regenerating, conservation based, and socially inclusive strategy. These dreams of a clean world require a lot of drive and passion. I believe it is necessary to manifest oneself with creative power, a concentration on the common good, love, and patience. Although, in my line of work, a project may take generations to achieve, it is important to be persistent and maintain your intention until all the eggs have hatched. There is a lot of talk now about the climate and how it is changing, but much less about the state of soil. From a conservation point of view, how are the two connected? They are absolutely connected. The soil, the skin of the Earth, is what keeps us supplied with divine fruits. The millions of tons of fixed carbon in the ground brings forth a universe of life which nowadays is dying due to the use of chemical poisons, the process of desertification, and losing moisture and eroding soils flowing towards the seas. In short, we are losing value that cannot be restored. We need to manage the top levels of the soil following regenerative practices, such as hydrological designs, re-mineralization, recovery of forests by exclusion of extensive grazing, preparation of rich biofertilizers, re-introduction of microbiology, planned grazing. Livestock management is a miraculous practice when implemented with a holistic, rotational grazing plan, allowing the organic matter to be reintroduced to a pasture. This model can also be called “carbon farming”. It is an effective response to climate change, and has had a hand in regenerating the soils of Mexico. Many of us are now so dominated by our minds and addicted to constant consumption of information that we have lost connection to Mother Nature. As someone who still feels a strong connection – how can we escape or overcome dominance of the mind, in order to see differently and perhaps come up with new ideas and solutions to keep the planet liveable and communities enjoyable? Get to work, let your heart be generous. Think and act with full knowledge of the problem. Generate solutions, infect others to act, always be looking for innovation and keep in mind the common good. Remember that any act directed towards our Mother Earth goes hand in hand with providence, act from a space of love. Throughout the last 30 years you planted 6 million trees – why? And if you could turn back time, would you do it again? Surely we should have done things in a simpler way, rather than the outdated official techniques that were constantly stipulated to me about monoculture forest species for reforestations on an average hectare. After experimenting with various possibilities, I learned from monitoring in various communities that excluding livestock produces greater results in natural forest regeneration, achieving forest cover and diversity. Today the communities have wood to take advantage of commercially after decades of plantations, and we are working to provide appropriate technical assistance. We have recovered 13 thousand hectares of natural forests, beautiful regenerations. Today we know that, by paying landowners to exclude livestock from their lands, we can mitigate a large part of the carbon footprint. From then to today we have generated many answers. It has been a long learning curve. How do you finance your conservation work? Hand in hand with providence. Our proposals cannot have a single fault, as our resources are very limited and in order to squeeze money out of the government we have to be impeccable. Our coordination and travel preparations have to be efficient as we do not work in a city where everything can be easily found. Despite the state and federal subsidies we receive, we still have to strengthen ourselves by connecting with the few other institutions that share our vision, working with various international and multilateral organizations. Through visibility and participation in global forums, obtaining awards and international recognition, with affiliations and memberships in networks of organizations. We also have financing strategies for the most basic operating expenses of the project, through the educational offer of Centro Tierra Sierra Gorda, and our partner in tourism Sierra Gorda Ecotours, in addition to forestry technical services, which allow us to have a very healthy financial breathing space. However, the faith we have in “Providence” is part of the board of directors. We have worked with the tremendous confidence that we will always have what is necessary: a generous spirit amongst part of the group of minds and hearts, has been the core of the Sierra Gorda and helped us in avoiding all the financial deserts in 30 years of work. Sailing the waves of faith and generating a constant stream of possibilities, we have been able to manage an annual average of 32 million pesos that reach the pockets of mountain’s residents directly, for activities generated by our organization. Is it always necessary to wait for financial support of donors or international foundations, or are there smarter ways to achieve conservation and restoration at a local or regional level? Transferring knowledge at all levels, providing technical assistance to state officials, promoting the orientation of public policies at the federal level, integrating new environmental funds at the sub-national level and training technicians at all levels. This will allow us to have that financial energy necessary to carry out our ambitious dreams of re-greening Mexico. We synthesized the regenerative experience of the Sierra Gorda, with the State Mechanism of Carbon Footprint Mitigation currently operating. This includes monitoring and reporting according to verified methodologies. We also developed a plan for the replication of the model of the State of Querétaro, where, through subnational financing, carbon footprint mitigation is economically valuable for forest services. It pays forest owners for conservation management, and agricultural producers for capturing carbon in soils under regenerative practices. We registered a NAMA (Nationally Appropriate Mitigation Action) proposal with the Federal Government through the SEMARNAT (Secretariat of the Environment and Natural Resources) and before the UNFCCC (United Nations Framework Convention on Climate Change). 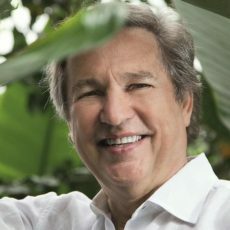 Unique in Mexico, it includes a proposal for the recovery of our natural capital. It is a regenerative agenda to strengthen the capacity of ecosystems, including payments to rural owners to adopt and manage these tools. As a registered NAMA we can request climate funding from international funds, which will allow us to have sufficient resources to use and replicate the Querétaro model in 15 states of the country. Early in 2018, you were honoured with an award by the UN World Tourism Organization (UNWTO) – another one for your collection of accolades in recognition of achievements at Sierra Gorda. How do such awards influence your work – do they make it easier? Are there any downsides? The construction of a rural tourism model that operated in protected areas was a winning project in the National Geographic Geotourism Challenge, financed by resources from the IADB MIF. The project supported the integration of enterprises and ventures of all sizes and focused on training, development of community standards, validation as Early Adopters of a Sustainable Destination. This was a very successful project and has accomplished much. Then we were awarded the To Do! Prize that was presented to us at the ITB (International Tourismus-Börse Berlin) in 2013. In 2016, we were once again winners of the National Geographic World Legacy Award for our inclusive model in the management of a territory. And this year we obtained recognition from the UNWTO, citing our initiative, generating visibility, winning spaces for the conservation objectives, regulating tourism activity, as well as the management of permanent financing for the improvement of microenterprises throughout the territory. Recognition on an international stage is a wonderful thing for us. To be seen on such a platform can hopefully inspire other organizations and set an example. Our goal, however, is not to win prizes and plaques to hang up in our offices, but rather the reforestation, conservation, protection, and environmental future of Mexico. We work from a space of love, not ambition, and the yearly cycle continuing to bring life to our little corner of eden is a prize more valuable than any. Tourism can be a strong ally, but also a dangerous enemy, of conservation efforts. 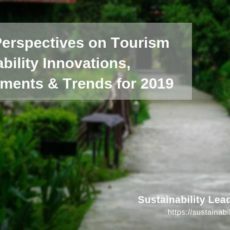 In your experience, which are the decisive factors to turn tourism into a force of good and supporter of restauration and revitalization of Nature? We are coordinators of the tourism sub-council on the general advisory council of the federally protected Sierra Gorda Biosphere Reserve, so we have some influence on normative enforcement as well. 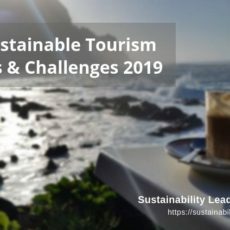 In being leaders in sustainable tourism, our intention is to have sufficient weight in order to develop standards, rules, proper working groups, minimum impact criteria, control investments, and apply the management program of the Reserve. With this comes the responsibility to resolve some situations where conflict has arisen due to the development of some sites. Be it on the part of the community or the tourist(s). This is the reason why we prefer to take the lead, constantly making conservation a priority. Destination marketing plays a key role in how a country, region or city is perceived and “consumed”. To your mind, is Mexico on the right track in how it promotes its tourism assets internationally? How does Sierra Gorda contribute or form a part of it? The influx of foreign visitors to Mexico has been growing, closing 2017 with a record amount of income with nearly $20bn USD, becoming the third source of foreign currency in the country. So it is obvious that we are on some form of the right track, since our country is consolidating itself as one of the most important vacation destinations. The challenge is to make the Sierra Gorda a destination based around nature and culture (rather than artificially attractive beaches and false culture). We need to position it well so we receive the desirable segment of visitors that we are interested in: educated travelers, respectful towards the communities and their environment, those who leave money with the local artisans and take with them good memories and experiences, which they then recommen to others. But we are on the right track, through a comprehensive marketing strategy, promotion and presence on social networks, with a well-directed and structured visibility. At the local level we have a network of signs, dedicated to inform, educate and direct the visitor towards the places of touristic interest where wonder awaits. We believe that nature tourism is a concept not well understood by the current authorities. The Natural Protected Areas of Mexico are shrines of incredible wealth, where a tourist could go to value the scenic and natural beauty, explore the communities settled within them, strengthen bonds with the local people, learn about the organizations that promote and protect the value of nature, or simply enjoy a day amongst the wonderful sanctuaries that make up our country. These areas are horribly undervalued by the current government, which does not seem to realize the long and arduous practice of building a sustainable territory. Reflecting on your more than 30 years of activism dedicated to nature conservation, which would you consider the key milestones – or achievements – of your professional journey so far? That after three decades, we continue being able to count on the collaboration and participation of the mountain people in a variety of areas. Weaving of bridges between one administration and another of the three spheres of government, giving continuity to processes. To devise and consolidate a “conservation economy”, becoming a positive asset to the local inhabitants. Having structured a learning model that has been replicated in other states of the Republic. Having reversed the trend of land use change in the region. Instead of losing forests, we have won them back (contrary to the national trend). You are very innovative in finding new solutions to environmental or social problems at Sierra Gorda. Where do you get your inspiration? First of all I am in kinship with creation, this is how I see myself; as a spokesperson for the forests and treasures that protect these mountains. My drive comes from a sense of urgency, shame, a desire to serve, to understand those who I serve, to love all forms of nature and recognize the wisdom of the mountains. Being part of global movements that have given and received in symbiosis, I have learned, imported knowledge, tropicalized, attracting experts and financing to open new paths. Which 3 bits of advice could you share with nature-based destinations or reserves elsewhere in the world, in terms of how to protect and preserve, but at the same time ensure adequate income for local communities? Surely there are community development organizations in your region, so it would be important to connect with them in order to strengthen and promote them to form more stable relationships. In the case of having external investment partners, agreements must be established in which, at the end of the day, the community can be the winner. This goes towards forming community capitalization processes. That the authorities of your region work, come to agreements, enforce regulations and minimum impact conditions so that the greater involvement of local communities are developed. If not, win spaces, generate dialogue, manage ordering, improve services and commit long term with your Destiny. Tourism is a two-edged tool, we have to play with it. We are too many on the planet and only by being creative can we solve the growing problem that is narrowing our forests. We must also understand that tourism is just that, and remind those who come to see our precious jewels to leave them how they were found, taking only good memories and ancient teachings with them. There are many habitats which hold exclusive flora and fauna, that can only occur in the wild. Once they are opened up and made available to the public, many visitors will not approach them with the necessary respect and intentions. Have a clear picture of what is open to the public, and should be kept for the locals, where the communities themselves are the custodians of their natural sanctuaries. 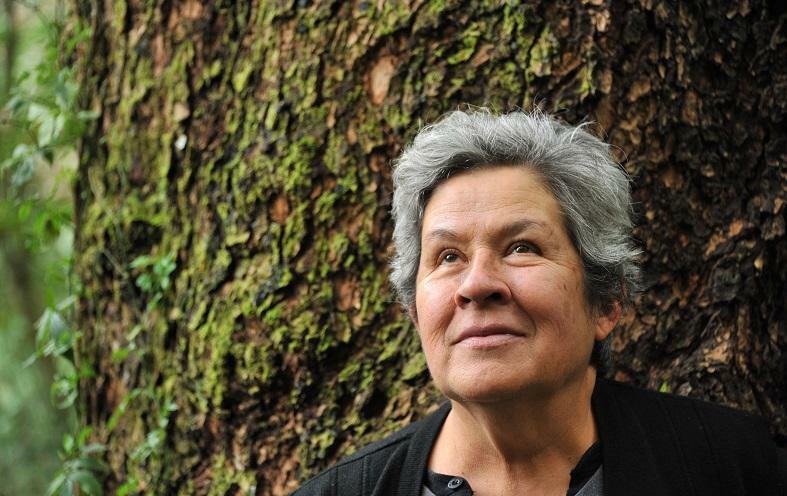 Connect with Pati Ruiz Corzo on Twitter or find out more about Sierra Gorda on its website, Facebook, Instagram or YouTube.